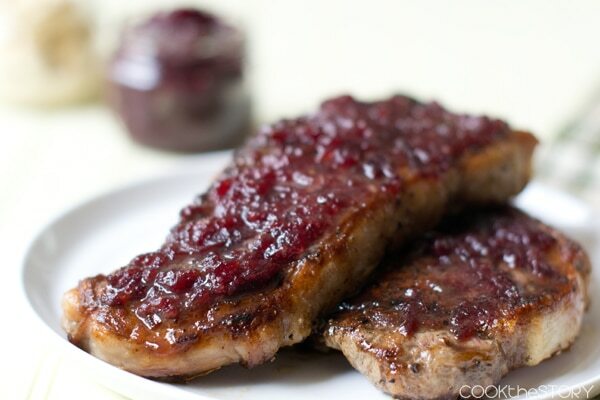 Pan-Fried Steaks with a Cranberry Horseradish glaze is the perfect way to use up leftover cranberry sauce. There are millions of recipes online that call for leftover turkey (over 9 million, to be exact). But what about the cranberry sauce? I always have cranberry sauce leftover after a turkey dinner. I think it’s because not everyone likes it on their turkey, and even those who like it don’t put very much. So you start with a whole can or a whole batch of sauce and you’re left with, well, most of it. I could probably throw it out if there was less left. But it’s so tasty and there’s always so much left that I need to find ways to use it up. Last year I had so much leftover (we had more than one dinner) that I came up with a list of 12 ideas to use leftover cranberry sauce. 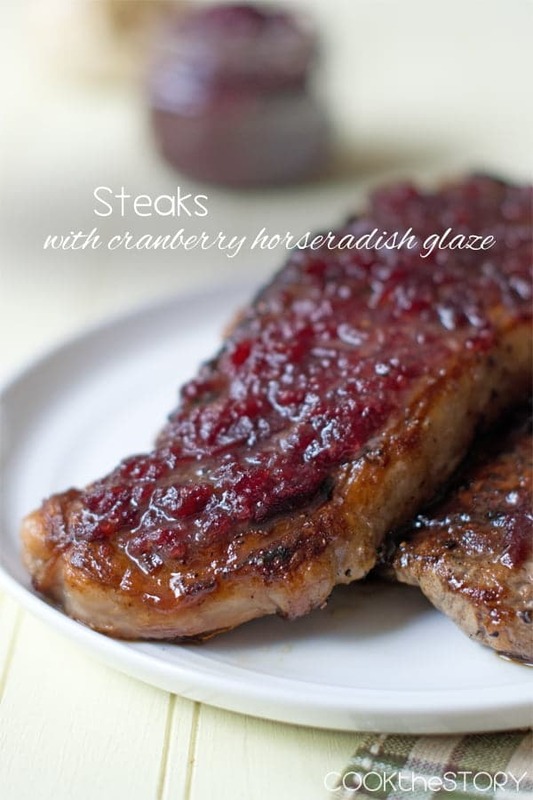 This year I’m adding to that list with Pan-Fried Steaks with a Cranberry-Horseradish Glaze. 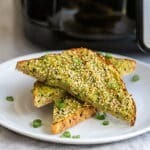 You’re going to really love this recipe. 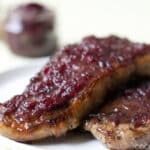 The puckering-sweet cranberry sauce counters the spicy horseradish and makes steaks into a perfect fall meal. The glaze is simple to make. You mix together that leftover cranberry sauce with prepared horseradish. How much horseradish depends on how spicy yours is. In general, the prepared horseradish found in the refrigerated section of the grocery store, next to the refrigerated pickles, is spicier that the horseradish found in the aisles. I buy mine from the refrigerated section so I don’t add very much. 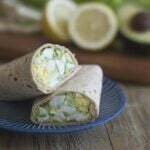 You can add more to taste. Then you pan-fry your steaks as you normally would. After the last flip, smear the cranberry horseradish sauce on the top sides of the steaks. Finish cooking them and then let them rest for a few minutes before serving. But what do you do if you have leftover cranberry horseradish sauce? Don’t worry, it’s also fabulous served cold as a dipping sauce for chicken, pork, steak and roast beef. If you’ve got a craving for more steak, you should also check out this recipe for maple soaked chuck eye steaks. 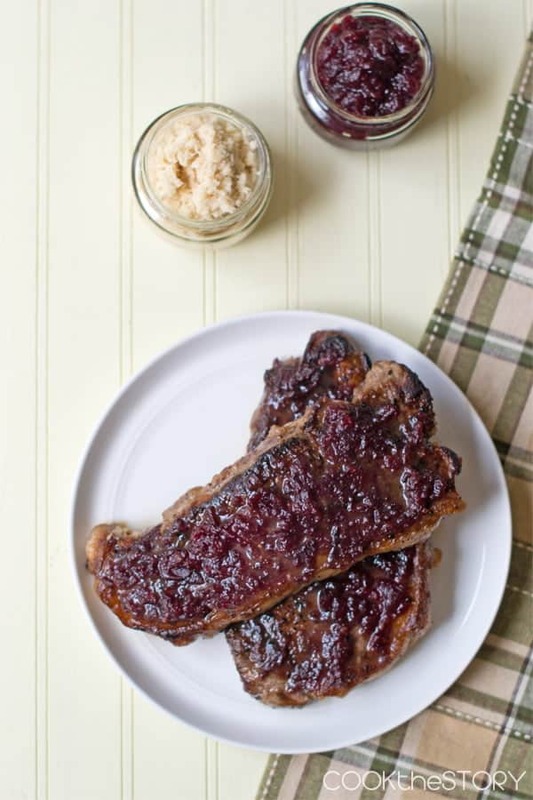 And now, here’s my Cranberry Horseradish Pan-Fried Steak recipe. 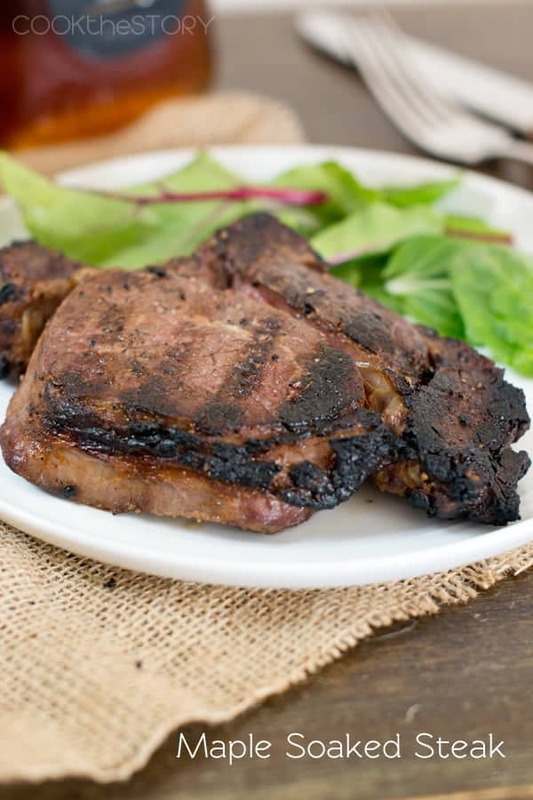 This delicious steak recipe has you smear on some leftover cranberry sauce mixed with horseradish sauce. What a sweet, tart and spicy glaze is! 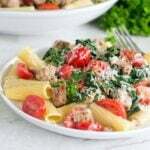 Heat a cast iron or oven-safe skillet over medium-high heat. Let it get good and hot while you mix together the cranberry sauce and horseradish in a small bowl. Use paper towel to pat the steaks dry. Drizzle 1/4 teaspoon of the olive oil onto the top side of each steak. Rub in and then sprinkle liberally with salt and pepper. Flip and drizzle another 1/4 teaspoon oil on each and sprinkle more salt and pepper. Put steaks into the hot pan and cook until well-seared without flipping, 3-5 minutes. Flip and top each steak with half of the cranberry sauce mixture. Spread it around. Transfer to the oven and continue to cook until it reaches the desired doneness, about 4-5 minutes for medium. Remove pan from oven and transfer steaks to a plate. Let rest for 5 minutes before serving. I like my left over cranberry sauce on toast and I love horseradish. Never thought of combining the 2 and putting it on beef. Smart idea.